Are herbal weight loss pills safe and effective? Just because herbal weight loss pills are "natural", that doesn’t mean they are safe or are good for weight loss. There are certain pills that come along with side-effects. So before going ahead and choosing one, we need to decide what we really want. Loosing weight is not an easy task. 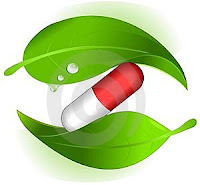 Medically it has been proved that a long term weight loss is not possible by usage of herbal weight loss pills only. But with useful and accurate number of natural herbal weight loss pills and a few regular-exercises accompanied with a healthy diet will bring about significant changes in reducing the unwanted body fat.